Our treatment approach at Intermountain is termed Developmental Relational, which is understanding your child’s behavior as expressing a developmental need. That need may be for a variety of reasons including reassurance and security. The healing way to meet that need is through relationships. Our direct care staff will form intentional relationships with your child to help understand his or her needs and pattern of relationships with your family members. We will support your child to gain frustration tolerance, and encourage him or her to be curious about feelings and behaviors. Our therapists are trained to help your child figure out what his or her needs are and help find better ways to express them to us and then to parents. We will help you find ways to establish structure, and to understand the needs of your child who is sending confusing signals through disturbing behaviors. We help your child tolerate anxiety and negotiate closeness in more adaptive ways. We also work with you to meet your child’s needs at the developmental level that they are expressed. We believe healthy relationships within the security of a family are key to the success of your child. We believe that families, like children, are capable of growth and change. Your family is an essential part of your child’s treatment, so it is vital that you are involved in the treatment process. For children and families alike, processes of growth, healing and change are intertwined. Frequent parent contact including campus visits, phone calls, letters, emails, home visits, and participation in family seminars is a critical part of the process. 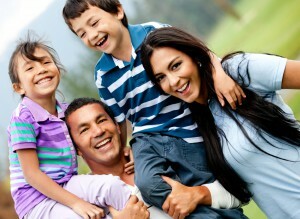 To facilitate communication we offer an on-site apartment for families to use when visiting.